DIY food processing! 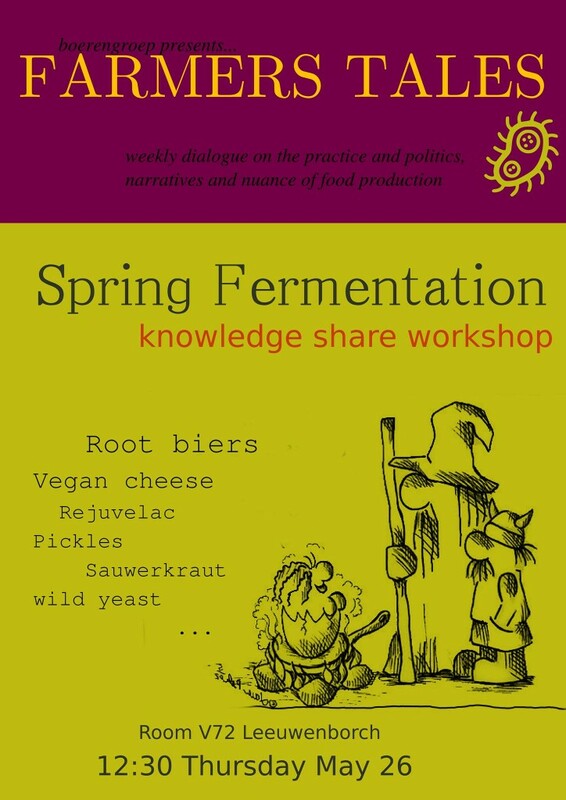 For many generations, people have found ways to preserve food, one of which is fermentation. Join this Farmers Tales with your recipes, skills or curiosity to learn about delicious Root Beers, Vegan Cheese, wild yeast and much more..
Jonathan Tanis will present his thoughts on soil, combining theories of Deleuze, Foucault, James Scott, Levi Strauss and others. 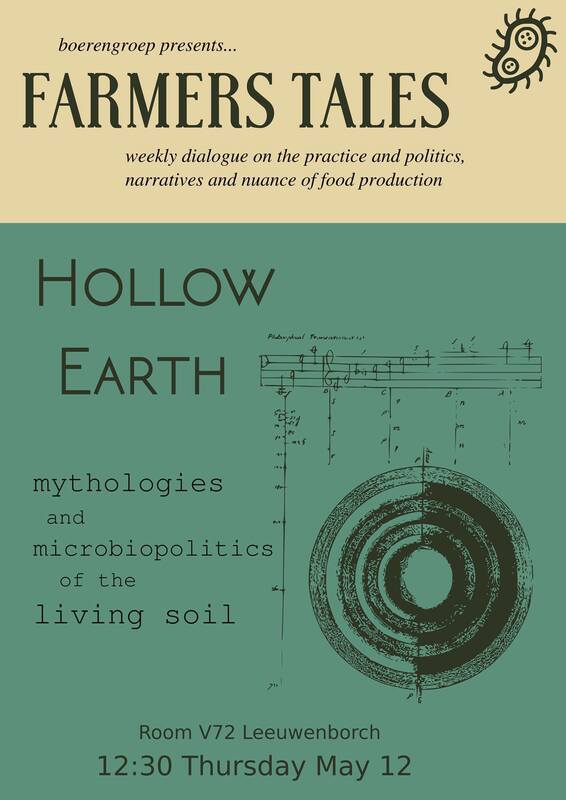 Can we bridge the way of interconnectedness to the soil with scientific knowledge? Here you can view the presentation on youtube. On the 25th of April something grande is going to happen: the International Agroecology Forum at the Wageningen University, with international guest speakers from all around the world, music, dance, local food, and much more. On the 7th of April we will explain more about the Forum and if you will get the opportunity to join the organizational team so that together we can make this event one that we will never forget. 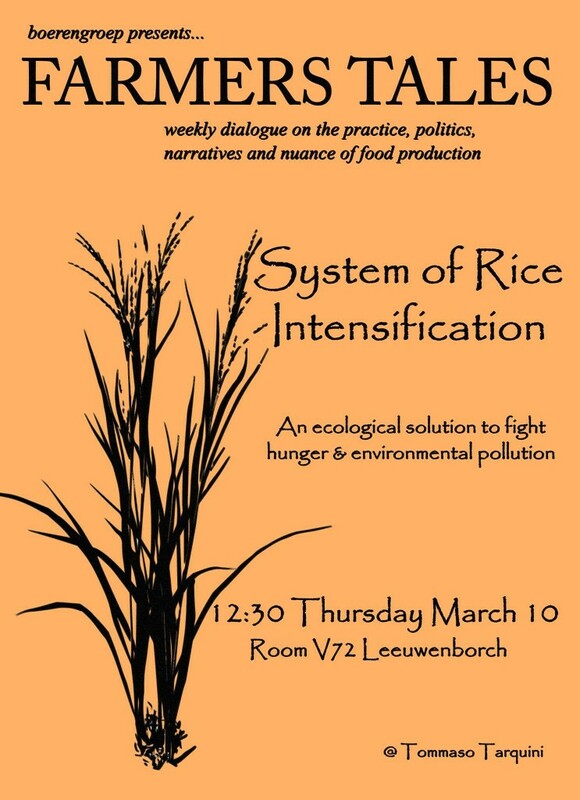 Bring your lunch and good vibes – see you this Thursday, 7th April, 12:30 Room V72, Leeuwenborch (Wageningen). * For good matching colours, go to color.adobe.com Here you can click on the colours, copy the codes and then you have the exact same colour on Inkscape. * For pictures, a tip is to google “hand drawn…” (or freepik.com) Copy paste the pic in Inkscape. Click on the pic -> path -> trace bitmap -> work on threshold -> ok. On top of the image is now a vector. With eyedrop you can change the color of the lines. * File -> document properties -> resize page to drawing or selection. Introduction to permaculture: the ARCAH’s case. 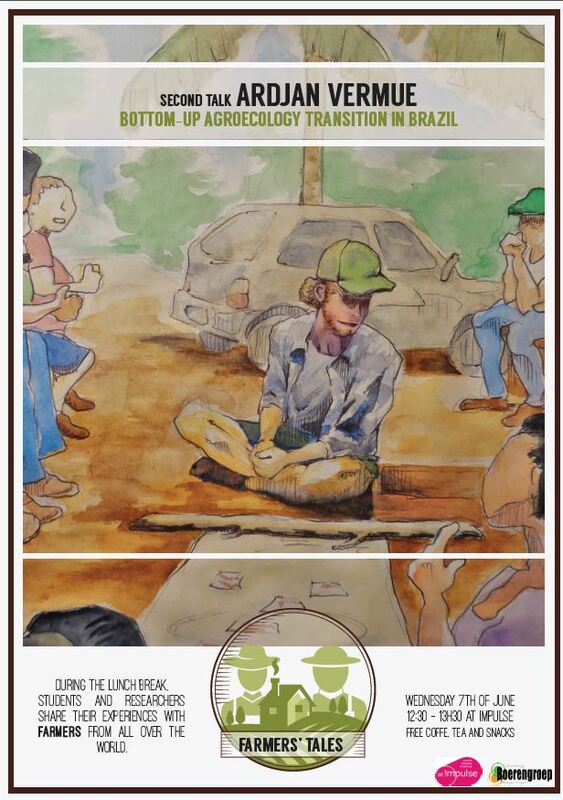 João Lotufo (MDR student) will give a short presentation about the design and implementation of a permaculture garden on a Therapeutic Community in South East Brazil. 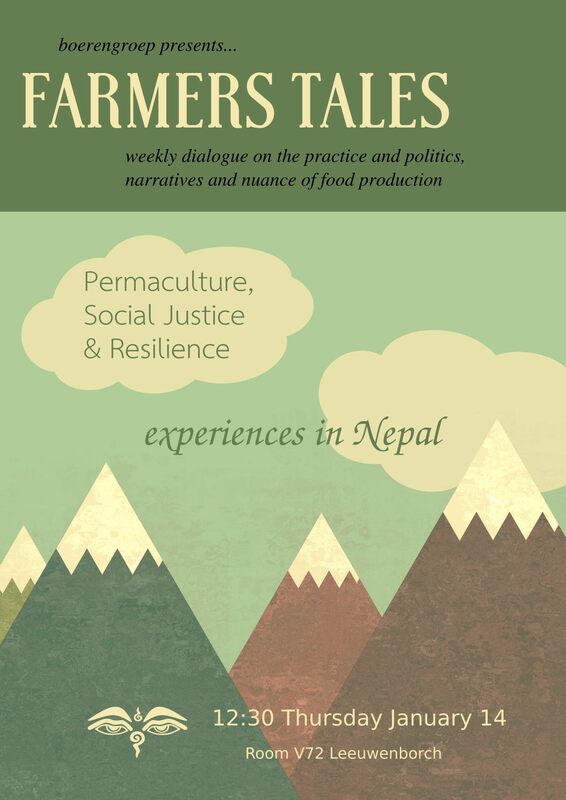 If you are curious about what is permaculture, sustainable initiatives or how to become more resilient, these Farmers’ Tales is the perfect place for you to be! 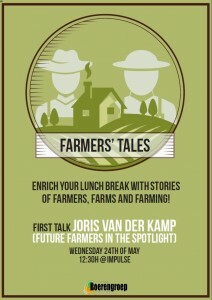 More information about the topic here. This documentary show that the USA is sending its food aid mostly not to countries with severe hunger, but to countries who have to be supported or ‘rewarded’. 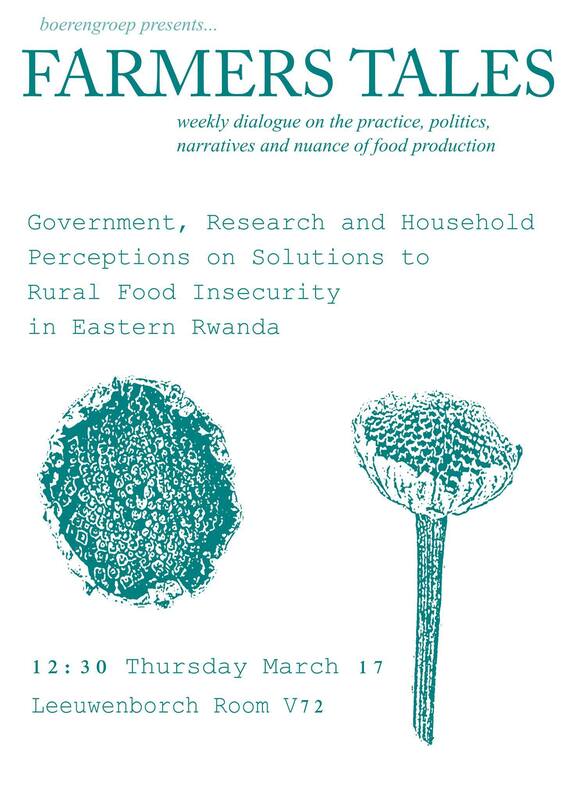 Food is used to direct countries towards implementing pro-USA policies, by punishing a country (no more food aid when it does not want to adopt the policies) or rewarding a country (more food aid when it does adopt the policies). One example given is the dictator Pinochet in Chile. 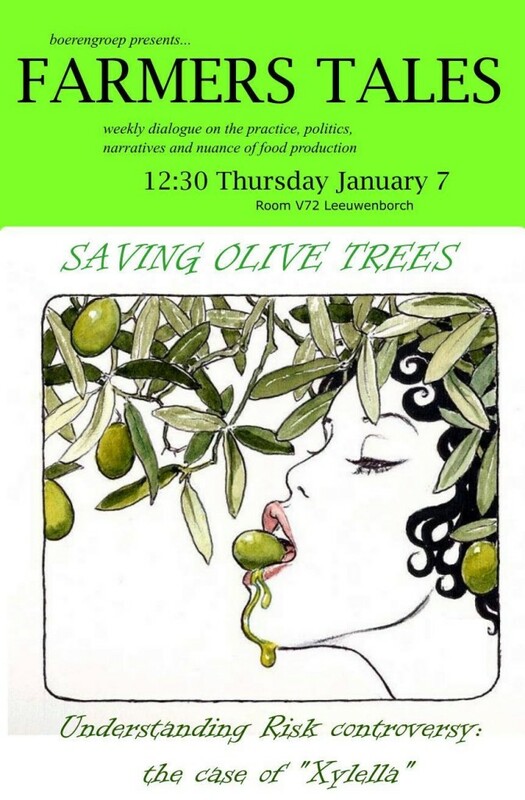 Last week we watched an interesting documentary and discussed how Food is used as a weapon. But where exactly did that food go to? Which regimes received the aid? 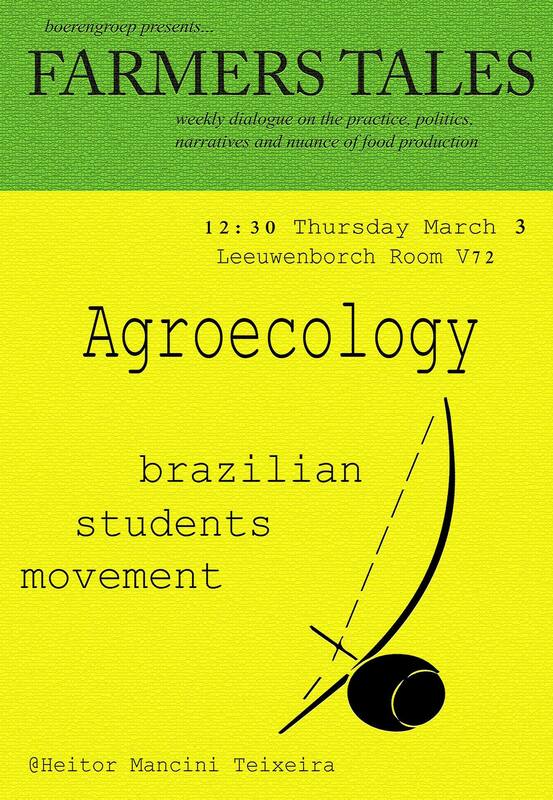 And what was the effect of this on the food sovereignty of the people in those countries? We will dive into a method called the ‘SHOCK DOCTRINE’ in Latin America. The documentary ‘War on Democracy’ shows how serial US intervention, overt and covert, has toppled a series of legitimate governments in the Latin American region since the 1950s. The democratically elected Chilean government of Salvador Allende, for example, was ousted by a US backed coup in 1973 and replaced by the military dictatorship of General Pinochet. Guatemala, Panama, Nicaragua, Honduras and El Salvador have all been invaded by the United States. John Pilger interviews several ex-CIA agents who took part in secret campaigns against democratic countries in the region. He investigates the School of the Americas in the US state of Georgia, where Pinochet’s torture squads were trained along with tyrants and death squad leaders in Haiti, El Salvador, Brazil and Argentina. 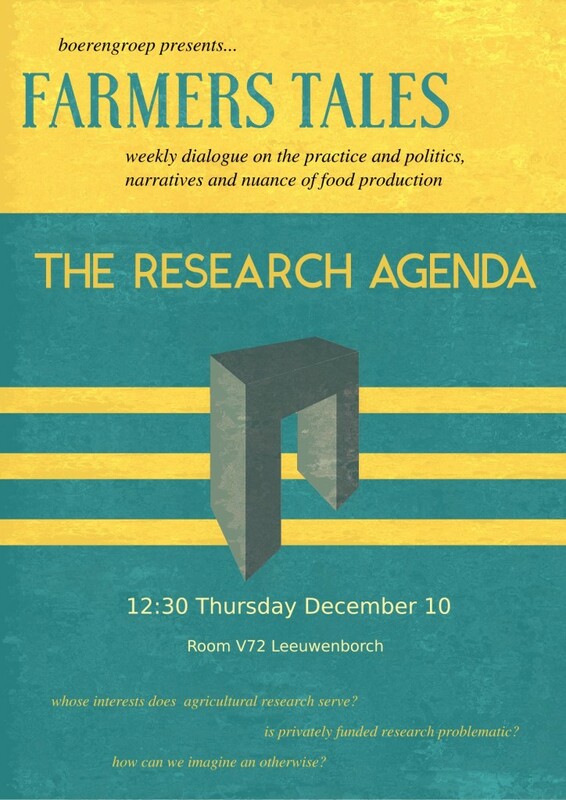 Want to conduct a THESIS on this topic? Since the end of the WWII, many democratically chosen governments have been overthrown in a very violent way (see e.g. documentary by John Pilger). Many people have been tortured and killed, a strategy called the Shock Treatment (see Noami Klein‘s Shock Doctrine; you can google the documentary). The idea is to bring a country in ‘shock’, after which new regulations, laws, a new economy (the free market) and a new agriculture can be pushed through: the Green Revolution (introduction chemical fertilizers, chemical pesticides, new varieties, HYVs and GMOs, new technology, intensification of farming etc.). During your thesis you will focus on one country (e.g. 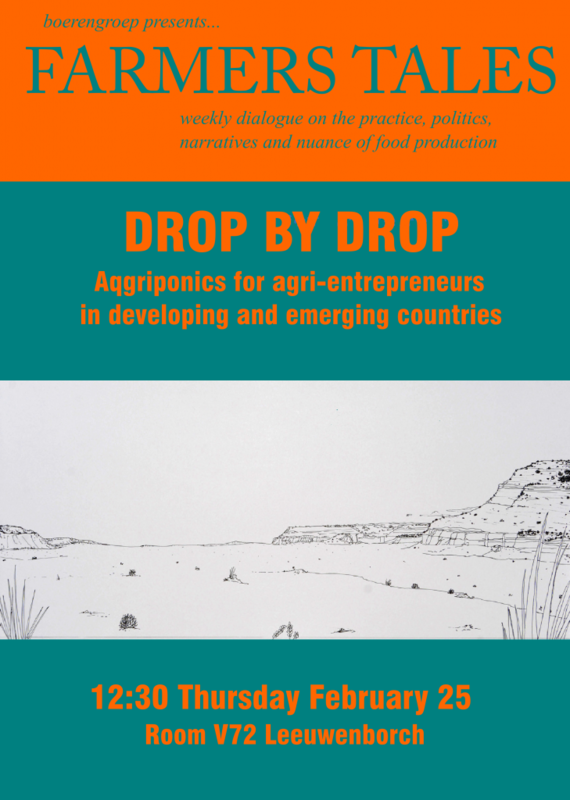 in Latin America or South East Asia), where this so called Shock Treatment has resulted in a drastic change in agricultural (and therefore also social) practices. Which foundations, organisations, governments etc. were involved in the preparation for this shock therapy? 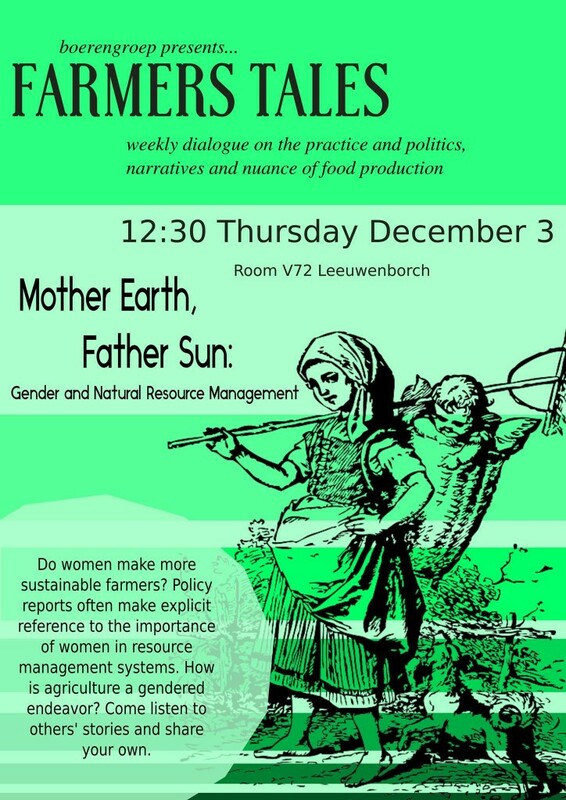 Which changes in agriculture took place afterwards? 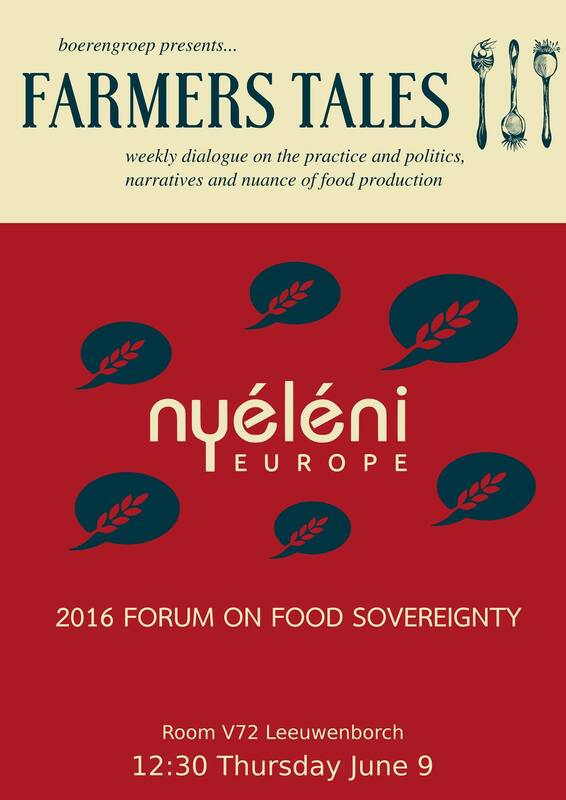 How did this affect food sovereignty? 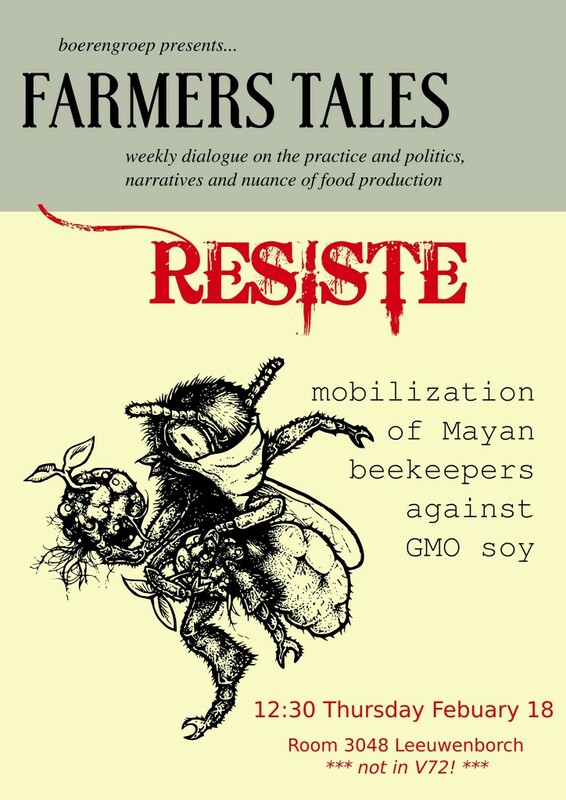 Was there resistance/ upcoming agroecological movements? 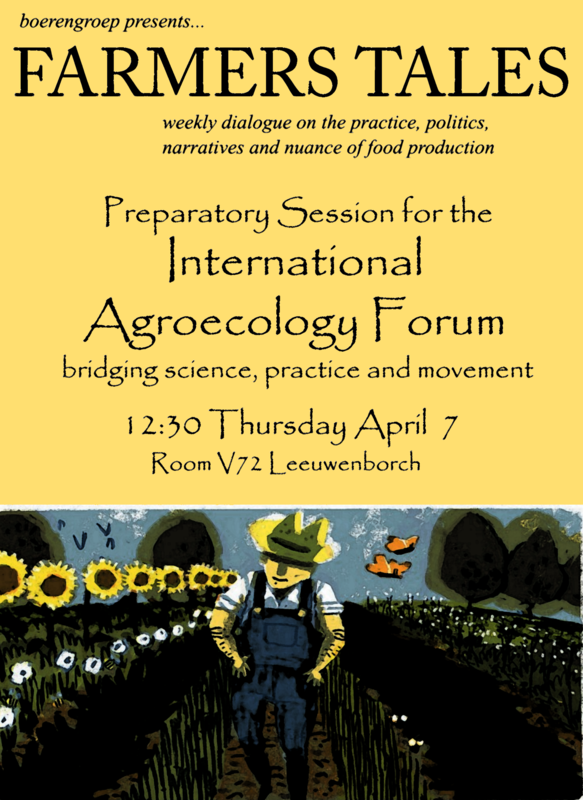 Are the (agroecological) movements strengthening food sovereignty nowadays? Members of the Mapuches Indians Movement ride their horses as a Chilean Mapuche stands guard during the burial ceremony of Jaime Facundo Mendoza Collio, who was killed during clashes with riot police, near Temuco city, some 680 km (422 miles) south of Santiago, August 16, 2009. 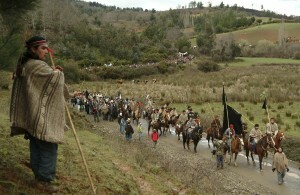 Collio, 24, died on August 12, 2009 after being shot during clashes with police in a land dispute in southern Chile, local media reported. Boerengroep invited Nikolas Stüdemann, an anthropologist from Chile. He explained us in more detail the changes in rural Chile since the dictator Pinochet came to power. During the government of Allende, a democratically chosen president, the Agrarian Reform was deepened in Chile. This meant more equal distribution of (non-used) land, from the landowners to the peasants, who started using the land for food production. However, only 1/5th of the 10 million hectares of land were actually given to the peasants and rural workers. After the government of Chile was overthrown by the military (trained and funded by the USA), the Agrarian Reform was terminated. General Pinochet, the military dictator of Chile, started the so called Counter-Reform. Some 60% of the land was then given back to the land owners and the military who was now ruling the country. 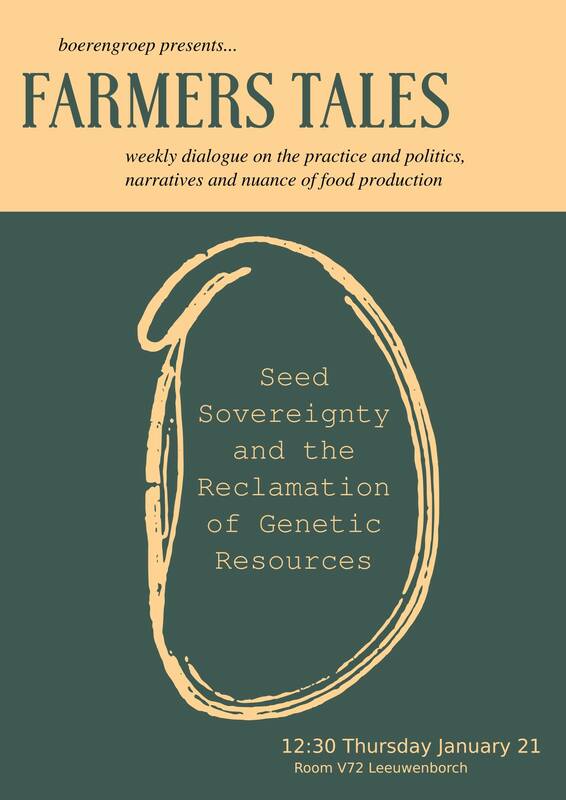 Moreover, most of the land was privatized and given individual titles to the owners, which meant the end of land ownership from the agrarian communities. They now had to become land workers of the agro-industry or move to the cities to gain an income – ‘depeasantization’. “Indigenous people don’t exist”, was claimed by the new ruling power. 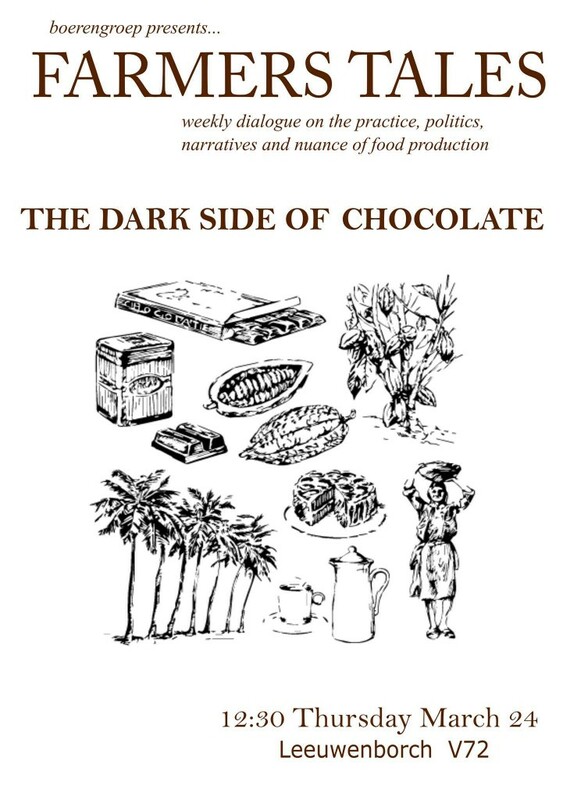 The military regime, led by the dictator Pinochet, now started deregulating markets, pushing through the free market economy, shifting the food production from food crops (for consumption) to cash crops (for the market). The profits went to a handful of families in Chile. Pinochet ruled the country until 1989. Since the 1990s onwards, the New Communitarian Era started. 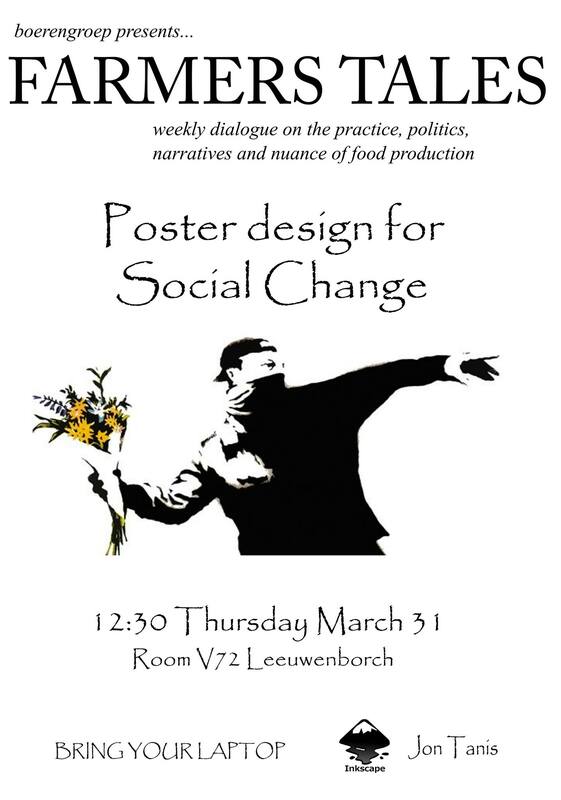 The development apparatus, mainly the World Bank, starts selling the idea of ‘the community’ as a group of people who work close with nature. The paradox is that the people have the potential to live like this, but only with the intervention of the development apparatus. Peasants now had to become commercial farmers or micro-entrepreneurs. 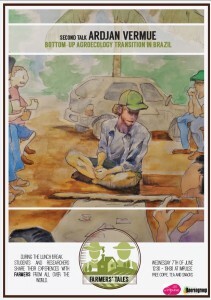 Nikolas Stüdemann currently studies the mobilization of the Mapuche communities against the neoliberal regime and certain rural policies implemented by the development apparatus in Chile. 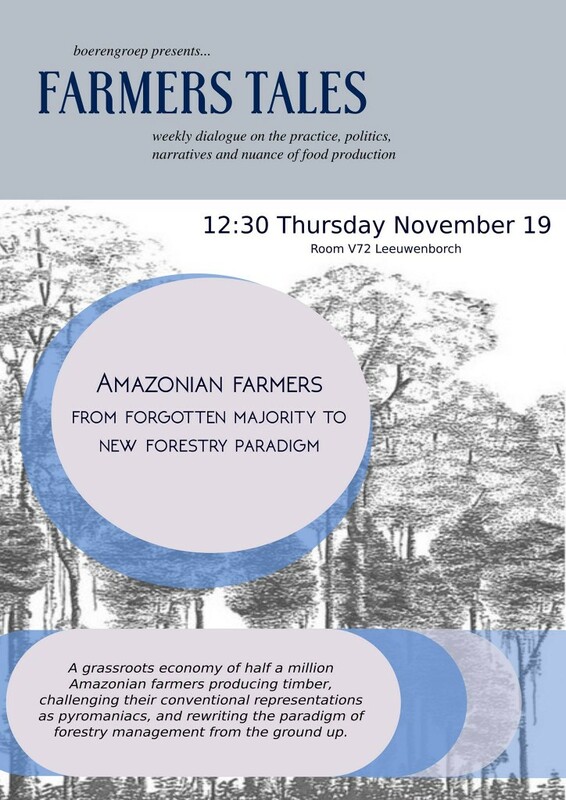 The Mapuche communities are claiming ancestral land (currently in the hands of the land owners or agroforestry) and political autonomy. 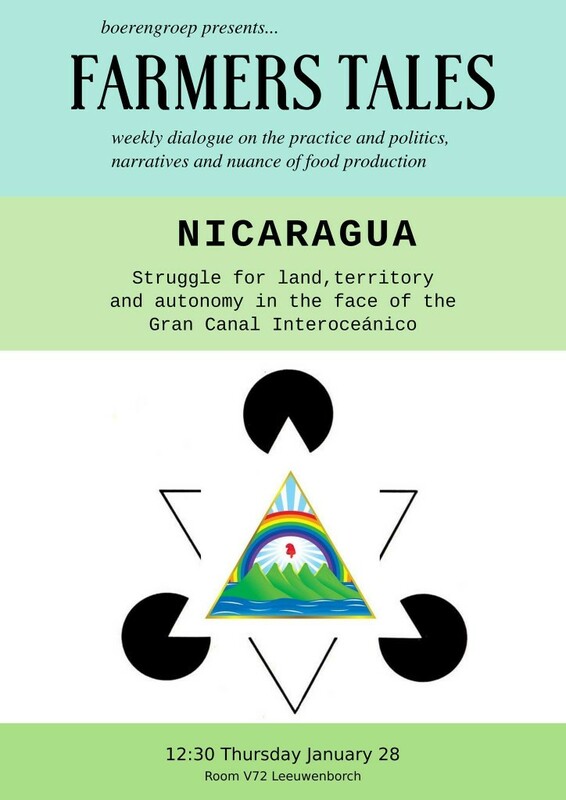 The state is depoliticizing the problem through multicultural discourses and indigenous sustainable development, claiming that the Mapuche have to become integrated in the economical system of Chile.